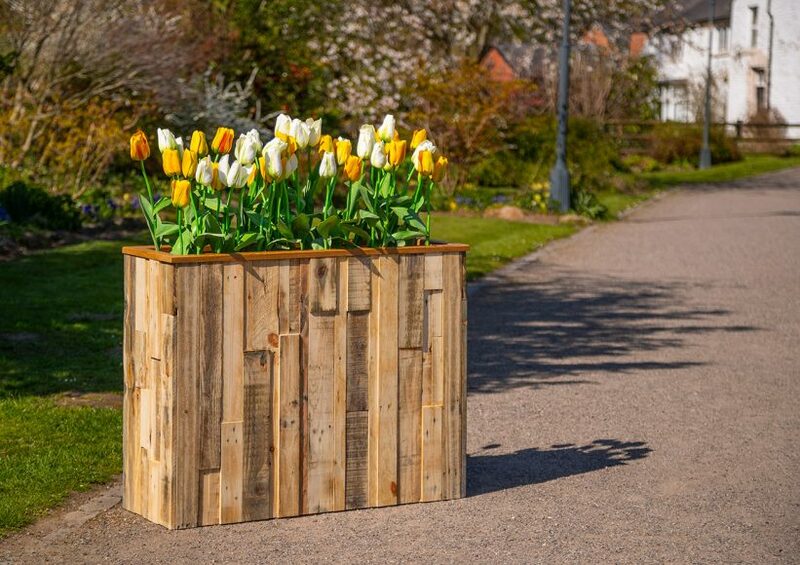 The Haddon planter is our new cool, trendy wooden planter made from reclaimed timber. Ideal for using as a barrier trough in restaurants, bars and offices. The Haddon planter has a GRP lining to prevent rotting from the inside. Can also be fitted with castors so it can be easily moved around. A perfect partner for our Shabby Chic planter. Available in a wax finish or if preferred, stained.